If you are planning to ship your precious works of art, the last thing that you want for them is to be ruined during the transportation. 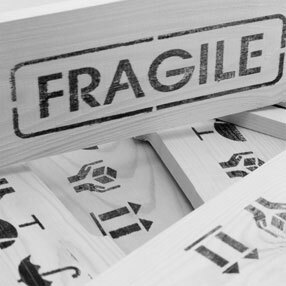 No matter whether you are an artist who ships the paintings to a buyer or to a show, or a collector who moves them to a gallery or storage, you always need to know that all fine art pieces are carefully handled. In this way, follow these tips to ensure that your paintings won’t be damaged. 1. Wrap your artworks thoroughly, but not very tight. To protect the front of the painting from sharp objects, use a sturdy layer of wrapping material like a piece of cardboard. Moreover, use one more layer of wrapping material to ensure that each of your paintings is protected. 2. Avoid bubble wrap. Fine art works, especially during interstate and international transportation, spend time in hot planes and trucks where the temperature can be warm enough to affect the bubble wrap’s texture and thereby damage the painting. 3. Ship your painting in a tube. If you are an owner of a canvas art piece or another print that is not on a frame, always use a tube for transportation. It will offer much more protection than a flat package. Additionally, use tissue paper to cover the front and then carefully roll the painting. But the best solution is to leave packing and transporting to the professional art shipping companies. Fine Art Shippers are always ready to help you with that!